I have compiled some useful links which you may find helpful. Established in 1919, Clement Pianos are now a third generation family business. Owners Mick & Andy Wilson, both of whom are piano technicians, were trained by some of the world’s finest. After having spent many years carefully selecting what they consider to be the ultimate instruments in each class and price category, they invite you to visit their premises in Nottingham. An informative website, which provides heaps of useful information about parenting advice, chat, local reviews of products and services in the British Isles. 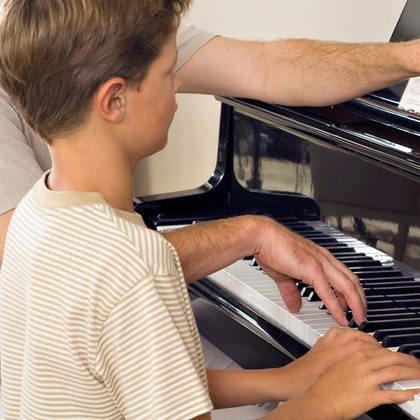 Piano Lessons Derby is listed as a trusted business on this website. Roland is a brand which for many years has been synonymous with stage gear; synthesisers, drum machines, midi sequencers and the like. Many people perhaps may not realise that Role also stand their ground in the Digital Pianos market, with a fine range of both home and professional digital Pianos which are absolutely great. If you’re looking for a first instrument; then a used instrument might well be the best way to go. Gumtree can be a great source of Upright and Digital Pianos. Just a word of advice! Buying a second-hand Piano should be viewed in exactly the same manner as buying a second-hand car. There are many questions which need to be asked before you buy. Head over to my blog for some helpful information about buying your first instrument. In my humble opinion, you can’t go wrong with a Kawai digital or acoustic Piano. For many years, Kawai seemed to languish in the shadow of their better known cousin, (not actually related) Yamaha. Not because that Kawai were/are inferior in any way, far from it. Largely because when it comes to the might of the Yamaha brand, everybody else seems to pale in significance. Kawai Pianos are excellent. They look great, feel great, and sound superb! Yamaha is a company which is nothing short of a global phenomenon. They make so many fine quality products, it’ll come as no surprise then, that Yamaha make incredibly fine quality Pianos. Depending upon your purpose and budget, you can land yourself one heck of a Piano. Acoustic or Digital, Yamaha Pianos are amazing. Take a look at their website.